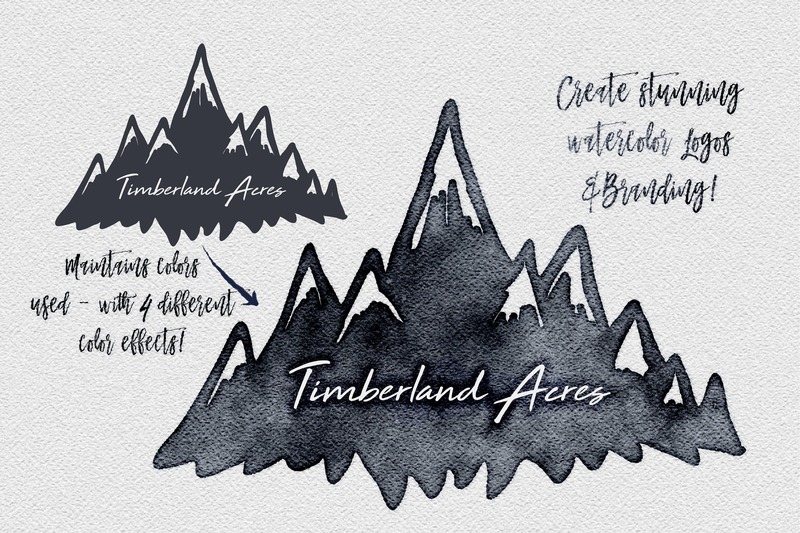 Now you can easily turn Text, shapes, objects, brushes and artwork into watercolor with just a click. Simply add your artwork into the smart layer, and click save! 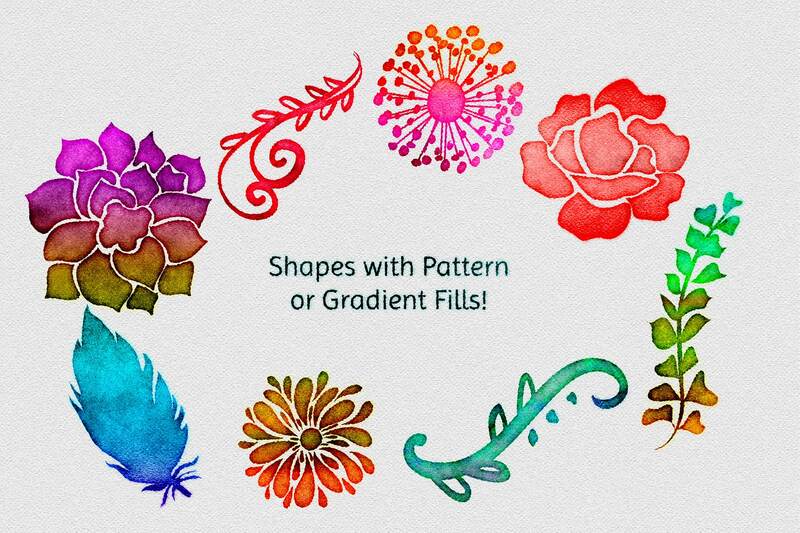 The file will generate the watercolor style, adding texture, a range of colors based off the original color used, a light edge bleed into the watercolor texture paper, and heavy paint pooled edges, all resulting in the most realistic, fast, and easy (and fun!) 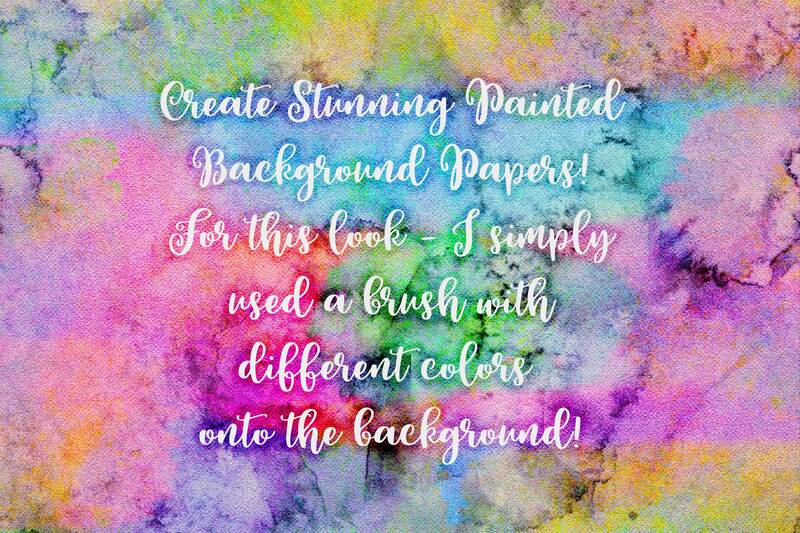 watercolor effect! 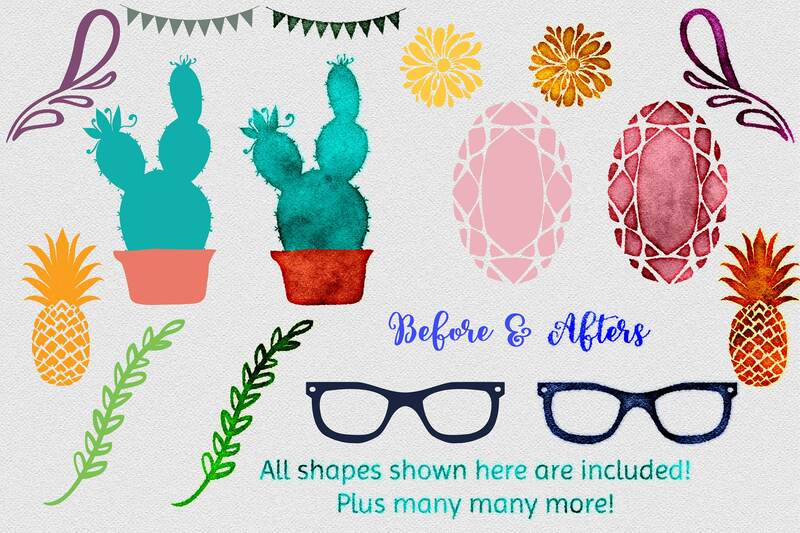 Click the photo above to see all of the before and after examples using the effect! Once you start using this you will be hooked I promise! -Works from your chosen color - use any colors! 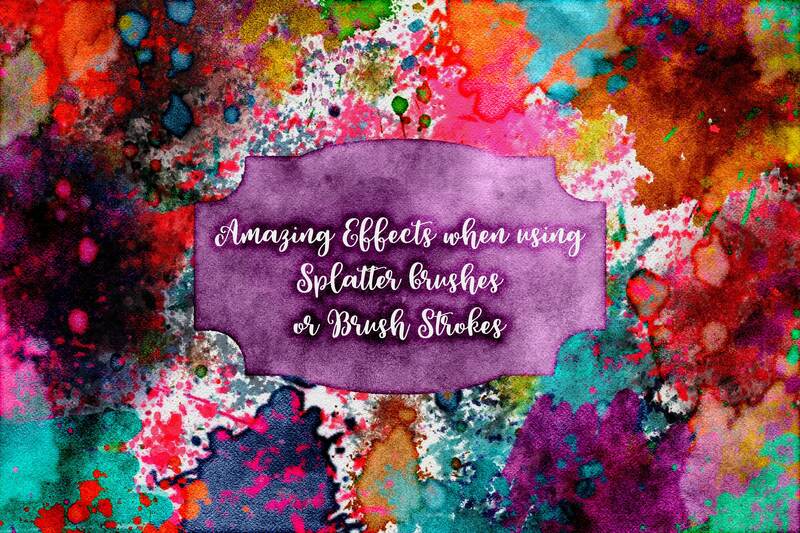 -4 different color blending effects - Simply Turn layers on or off! -Smart layers make it easy! - just place your images in the smart layer and click save! -Bonus !!! 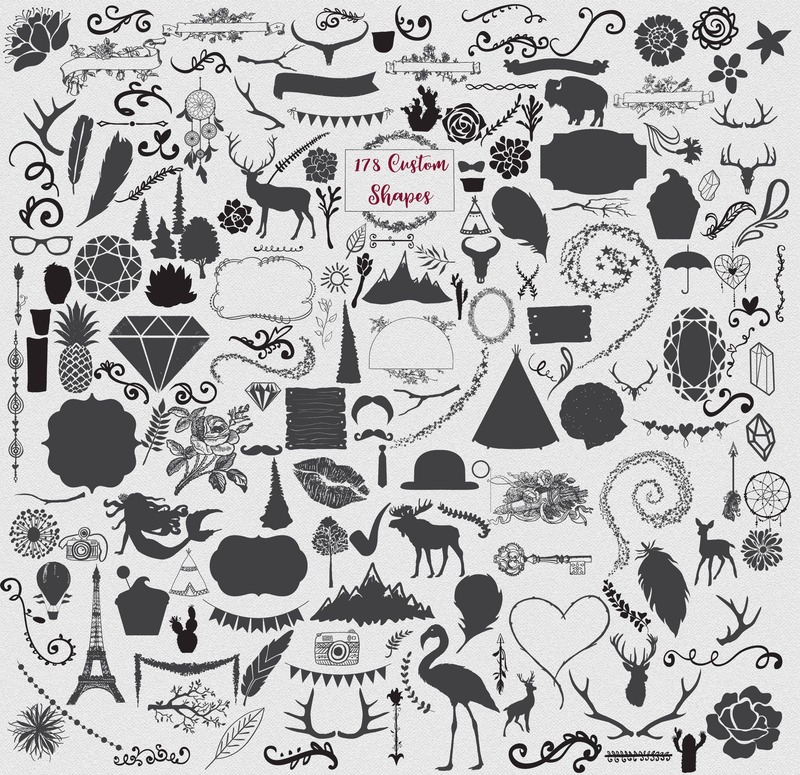 Included My Hand drawn custom Shapes for photoshop, 178 Vector elements so you can start creating graphics right away! install them with a click! 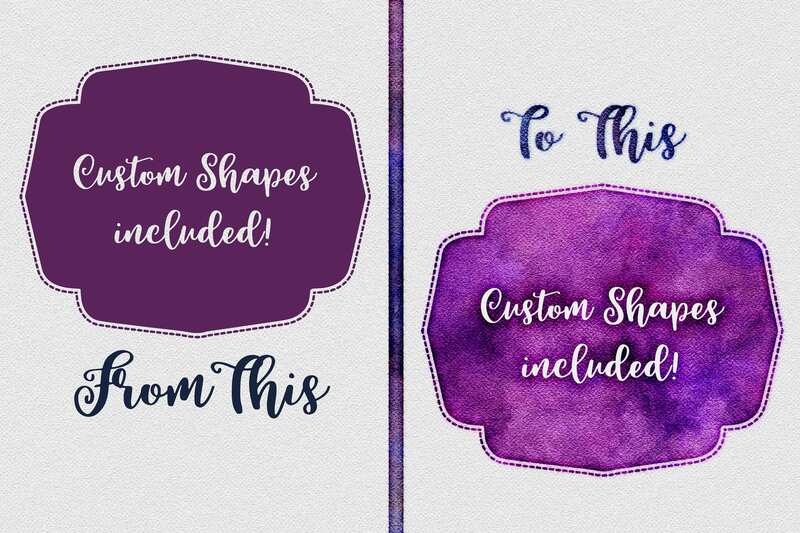 -Instructions on how to install the shapes and use the files - plus tips on how to use for different projects! 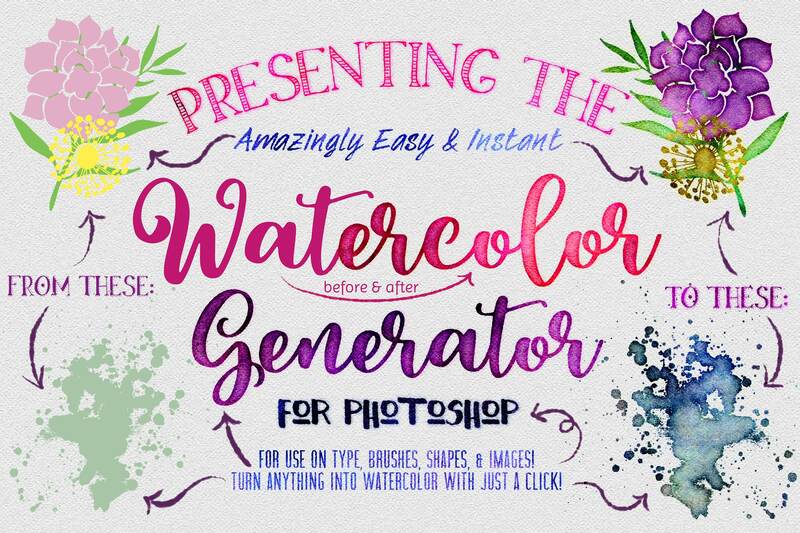 This is such a valuable tool for graphic artists and designers! You can make your own digital graphics and clipart for sale in your shops, use it to design prints, logos, invitations, stationery, stickers and much more! 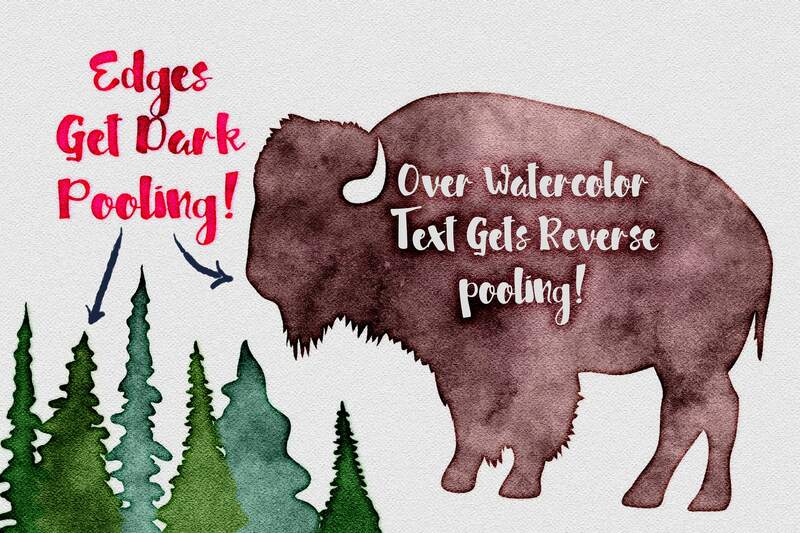 Includes a watercolor paper texture background, for the most realistic bleeding effects! Complete instructions included - You will need adobe PHOTOSHOP CS6 or newer!